Assistive technology, or AT, is any tool that allows individuals with disabilities to use their own unique abilities to reach their goals. AT can range from low-cost tools such as a jar opener to more complex devices such as a power wheelchair or communication aid. Infants, children, adults, and older persons with any type of disability can be aided by the use of AT. What is an aid for daily living? This type of AT device is any piece of equipment or adaptation that increases an individual’s participation or independence in daily activities such as eating and grooming as well as routine tasks such as getting out of bed and cooking dinner. Who is able to benefit from the use of daily living aids? These aids are probably the most widely used category of AT because almost everybody can benefit from them. Anyone who has ever used a gripper to open a stubborn jar lid has experienced the power of AT! 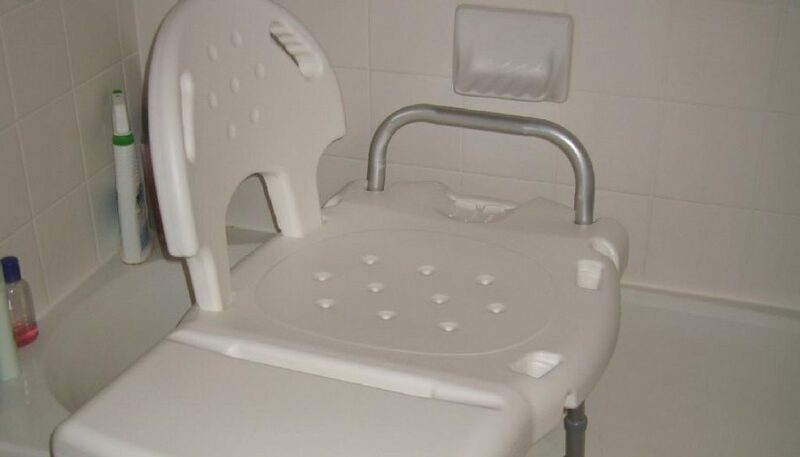 A number of products originally designed for people with disabilities have been embraced by the public because they make completing a task easier and more comfortable. Where can I purchase aids for daily living? These devices can be found in drug stores, kitchen and hardware shops, and many other stores that you visit everyday. There are also specialty catalogs offering hundreds of clever tools and gadgets. These aids are easily accessible, usually do not require a prescription, and tend to be affordably priced. What are some examples of AT devices for daily living? When are these products of most use? Daily living aids are used from the moment people wake up until the time they go to bed. In the morning, the use of a bed rail provides support as a person gets up from a lying down or seated position. Lunch may include the use of large handled utensils so that gripping the silverware is easier. In the evening, the zipper pull helps in getting dressed for a night out with friends. The book holder keeps reading material open and at a comfortable distance. And as the last lights are turned out at night, a large lamp switch makes that once difficult task simple.